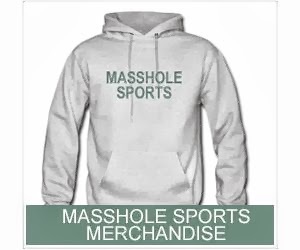 Masshole Sports: REPORT: Jerry Remy Will Return To The NESN Booth In 2014. 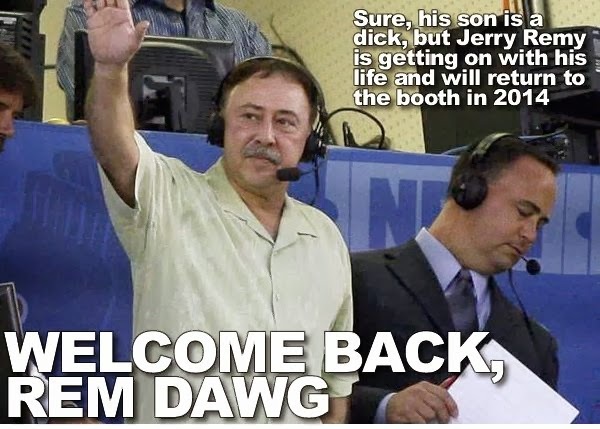 REPORT: Jerry Remy Will Return To The NESN Booth In 2014. Im not going to sit here and write some pseudo-sociological analysis. The bottom line is some people are always going to associated Jerry Remy with his dickhead son. And those people are always going to think Jerry should get out of the public eye and never broadcast another Red Sox game. Im actually glad he's coming back. Sure, his son is a scumfuck, but that doesnt mean he deserves to be unemployed for the rest of his life. It really is that simple.